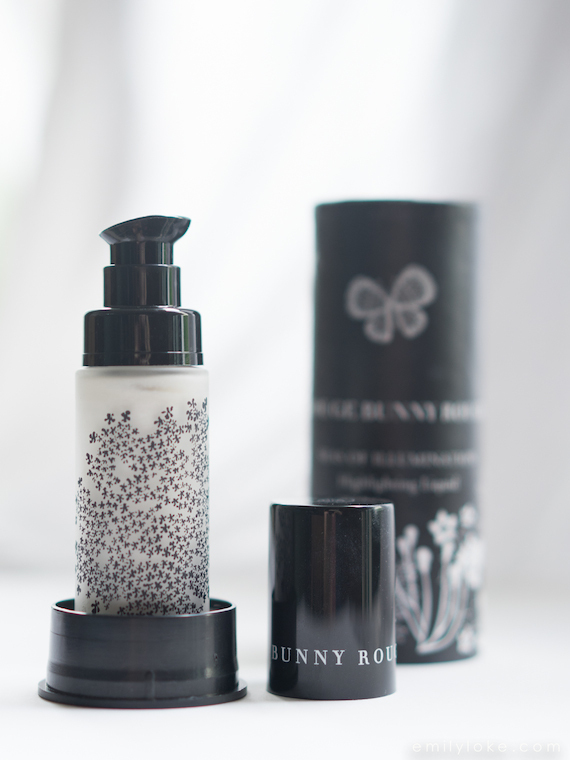 One of the results of my highlighter obsession is that I’ve been introduced to several brands of cosmetics that hadn’t come up on my radar before, like Rouge Bunny Rouge. Isn’t that the cutest name? 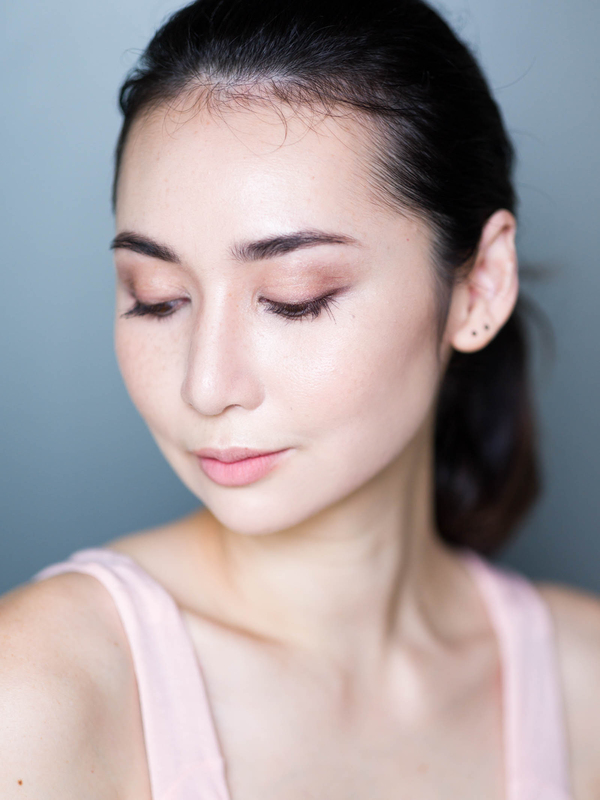 Their liquid highlighter range is constantly raved about by in-the-know beauty junkies, and I can see why. First off, the packaging is ridiculously pretty. It’s much nicer than a lot of things in my stash and is definitely the kind of thing you’d leave out and displayed on a vanity. Compared to this, all my other liquid highlighters look quite utilitarian! The product names are equally lovely. 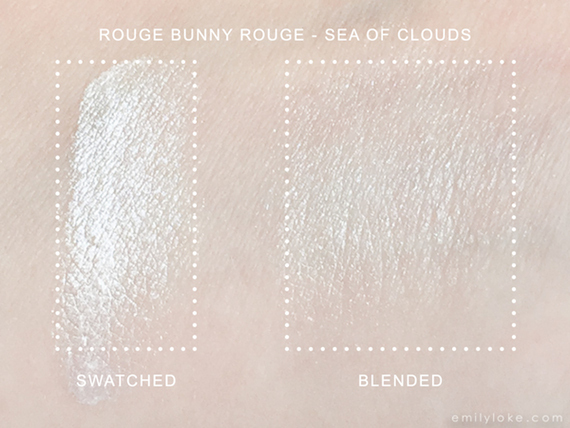 Rouge Bunny Rouge’s liquid highlighters are actually called Seas of Illumination, with three different colours in the range: Sea of Clouds (white), Sea of Tranquility (pale pink) and Sea of Showers (champagne). I feel like a fairy princess just typing that. 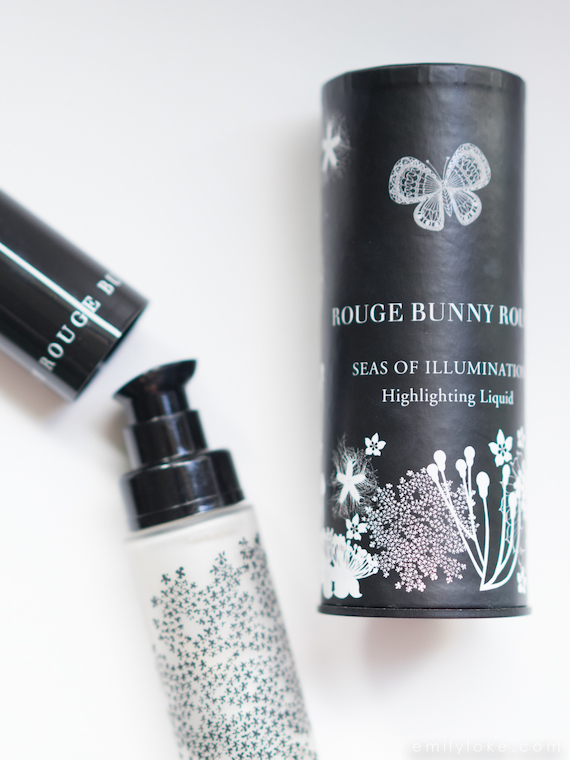 Sea of Clouds is a faintly floral-scented, cool white liquid highlighter with a very fine shimmer. 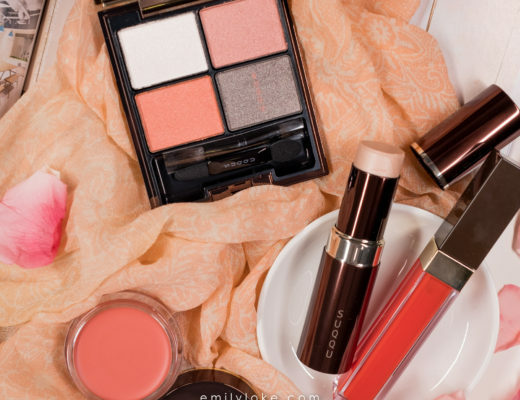 I find it to be one my more versatile highlighters; sheering out beautifully for a radiant glow or building up to a dramatic sheen. 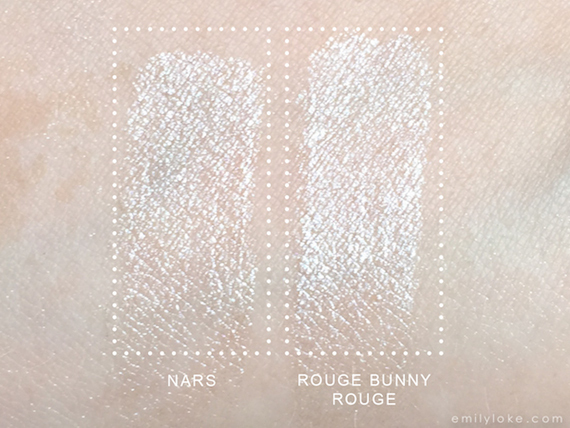 It’s very similar to NARS Illuminator in Copacabana, though to me it’s a smidgen more dramatic (by virtue of being bright white rather than pale pink). 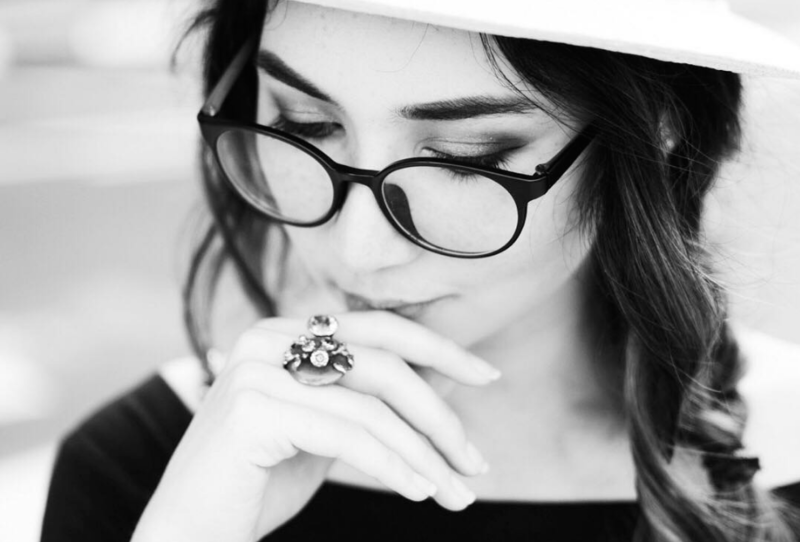 You can see a full look I did with it here. Stay tuned for a round-up of all the products I tested during these Highlighter Chronicles, more comparison swatches and my favourite picks of the bunch!